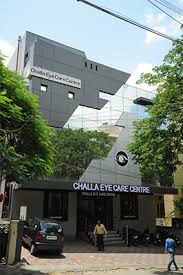 Opticals Shops Banjara Hills, Hyderabad | Challa Eye Care Centre. Manned by a qualified Optometrist, we fit and dispense all latest optical glasses and lenses by using cutting edge technology. Afterall stiching a Suit is as important as the Suit Material itself. What is Latest in Opticals ?